袋田の滝２０１３年１１月３日よりライトアップ点灯！ Light-up started from the 3rd November 2013 Fukuroda! 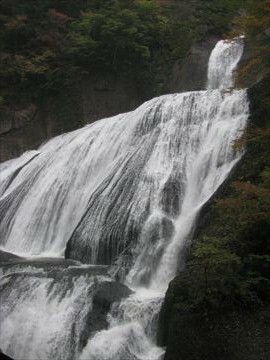 Fukuroda of Japan’s three famous falls in the Ibaraki Prefecture Daigo town , was released to interested parties before a write -up that will be held from November 3 . This year , I create a fantastic space with lighting and music by artists . The lighting , Masaaki Aiba , who has received a high reputation as a club event engineer and Tokyo Girls Collection , KAITO Mr. working as a photographer and DJ is in charge of music . I am doing the Friday, Saturday , Sunday and holidays until the 11th February 2014 . 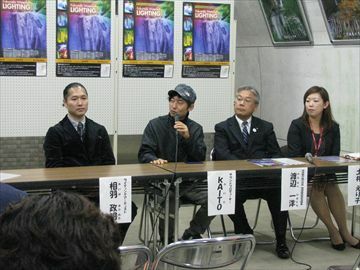 In addition, the duration of the write -up , events will also take place . Please see the page of Daigo-machi holidays. 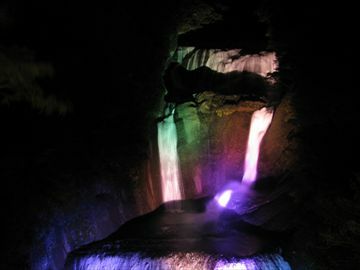 It is also referred to as a ” waterfall of the four ( Dian ) ” because it has 120 meters high , 73 meters wide by one , the flow of the waterfall to fall four steps Oiwa wall . 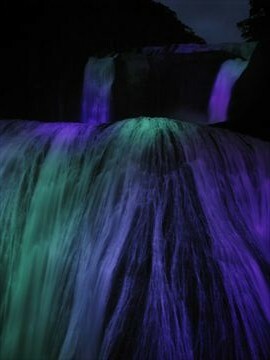 The coming time , I can see the icefall and foliage in mid- November ( waterfall Frozen ) . If you are traveling by car , looks good people there was a slip . Also, the Daigo-machi , there TV series novel NHK morning in the ” sun ” , became the location , the old elementary school Kamioka wooden school building was built in the Meiji era .